Selling trendy sandal maker Alpargatas to wealthy banking families will help meatpacking-to-pulp firm J&F pay a huge fine for bribing politicians. The original purchase, from a company also embroiled in scandal, is being probed by authorities too. It’s a Brazilian microcosm. 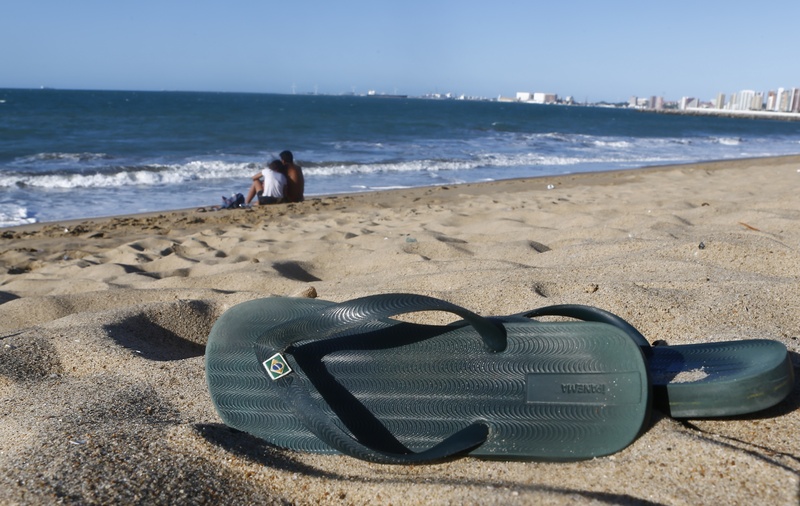 So called Havaianas flip flops lie on the sand at 'Praia do Iracema' beach in Fortaleza June 9, 2014. J&F Investimentos agreed to sell a controlling stake in Havaianas flip-flop maker Alpargatas to the investment firms of Brazil's most prominent banking families for 3.5 billion reais ($1.1 billion), according to securities filings on July 12. J&F agreed in June to pay a record-setting 10.3 billion-real ($3.1 billion) leniency fine after co-owners Joesley Batista and his brother Wesley admitted to bribing almost 1,900 politicians in recent years. Among other allegations, Joesley Batista has accused President Michel Temer of involvement in a sprawling graft scandal known as Car Wash. Brazil's prosecutor general has brought corruption charges against Temer, although two-thirds of the lower house of Congress would have to approve putting the president on trial.